Christmas Lights Driving Map with over 160 Christmas Light locations and growing. The map will be updated on December 8th for the final time. Many lights especially those in competitions won’t be known for certain until then. Use our map. It’s a google map so you will just be looking for yellow stars and heading to the ones close to you. 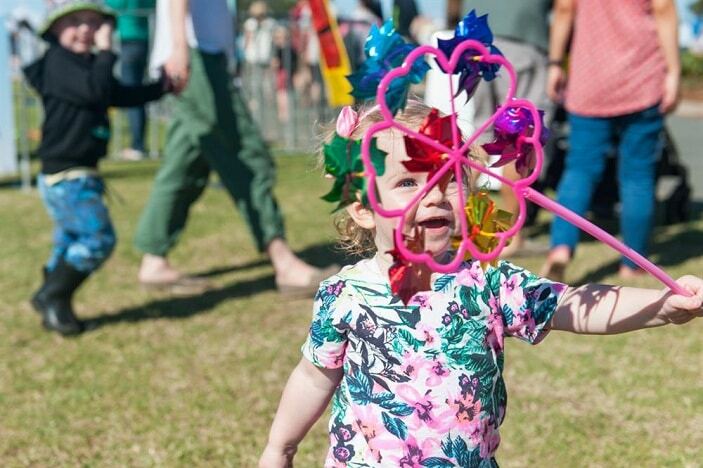 There are so many competitions in each part of Brisbane now that we focused less on that and more on just listing the best for you! There are a number of lights competitions across Brisbane, the most famous being 4kq but River 949 also run a lights competition. 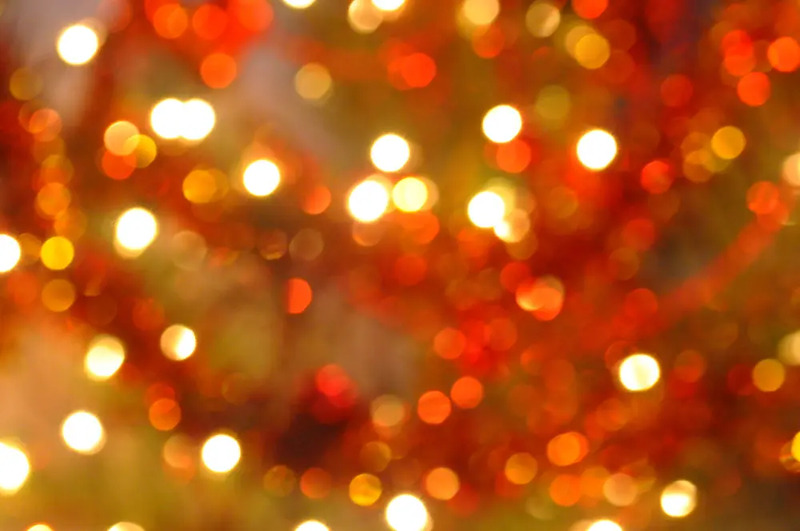 our list has never just been about those who enter the competitions because lots of houses have amazing Christmas lights but can’t meet the terms and conditions of the popular Christmas lights competitions. We do try and note all the winners of these competitions on the listing we have incase this is of interest to you. Are you thinking of becoming a Brisbane Christmas Lights Elf? St Gerard Majella Church, 146 Maundrell Terrace, Chermside West 2018 4KQ JUDGES COMMENDATION has the most incredible lights display every year, so big it often requires traffic directors. This year will not disappoint! Sinatra Cres, Mcdowall A unique and wonderful Christmas Lights display with an Aussie theme with kangaroos and other animals in lights. Fernbrook Drive, Morayfield They will be on from 6:30pm till around 9pm. 11 Eacham Street, Petrie. Regular participants in Christmas Lights. 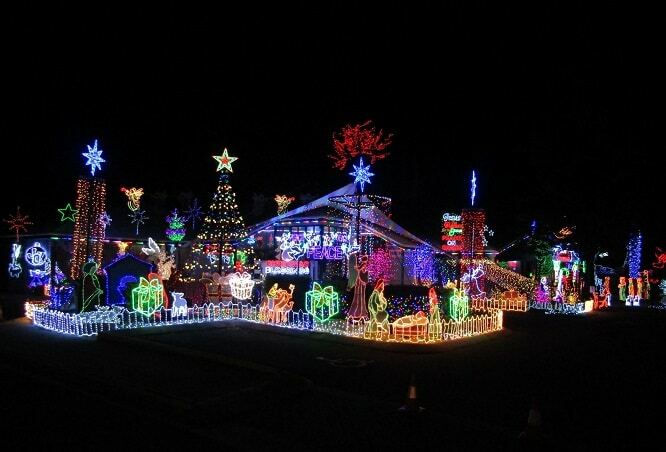 Sugar Loaf Street, Wavell Heights Has won best-synchronised lights a few years running but due to traffic chaos no longer enters the main comps BUT their lights are just as amazing! 18 Mankinna Street, Jindalee I recommend anyone wishing to visit to take Burrendah Road (either end) and turn into Mankinna Street from that road as it will give everyone a great view of the house as you travel down towards it. Lights go on at 6.30pm and finish at 9pm Monday to Thursday, and 9.30pm Friday to Sunday. The week of Christmas the lights will be on until 10.30pm. There is a cool Santa sleigh (because I made it myself) with reindeer out front and children are okay to hop in for a photograph. The smaller ones may need a hand to get in and out. 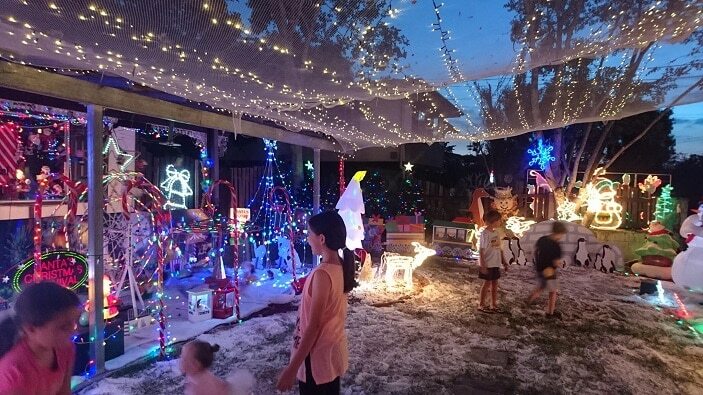 4 Burwick Place, Middle Park 2018 4KQ WINNER BEST SYNCHRONISED Lights come on officially from Dec 1st at 6:45pm to 10pm nightly until the 24th of Dec. Wristbands synchronised to the music and weather permitting (and technology permitting) fountains. This year collecting for two charities: The Starlight Foundation (this will be our 4th year working with Starlight) and Cystic Fibrosis QLD. Two great organisations. Government House, 168 Fernberg Road, Paddington More than 10,000 bulbs measuring a combined 1,800 metres will light the night at Government House in December.Fernberg’s annual Christmas Lights display will be open to the public from 7 to 16 December from 7pm to 8pm. Bookings are not required, and pedestrian entry will be via the service gate at 168 Fernberg Road, Paddington. Huntly Place, Redland Bay If you go anywhere in Redland Bay, this competitive street display is the place to go with multiple houses and amazing displays! 39 Whipbird Circuit, Victoria Point Tune to 93.1FM to listen to the music synced to lights. You will notice we have a few standouts but encourage you to head to River 949 https://www.ipswichchristmaslights.com.au/. Darra Uniting Church, 8 Lee Road, Darra 2018 4KQ WINNER BEST NEW ENTRANT From the 6th December, lights on at 7pm. From the giant Christmas Star to the tiny baby Jesus, from the multitude of angels excitedly blowing their trumpets to one lonely shepherd with his 3 sheeps, from a dimming old rugged manger to a well illuminated tree with many large Christmas light balls hanging off its branches. Yes, all these features are part of the Darra Uniting Church Christmas Lights Decoration 2018. If you want to check out Christmas Lights in Brisbane but you don’t want to drive around in your car or go on a tour then you could head to one of the many Brisbane Christmas Markets and you will find many have a Christmas Tree with lots of lights, entertainment and more for kids in Brisbane. 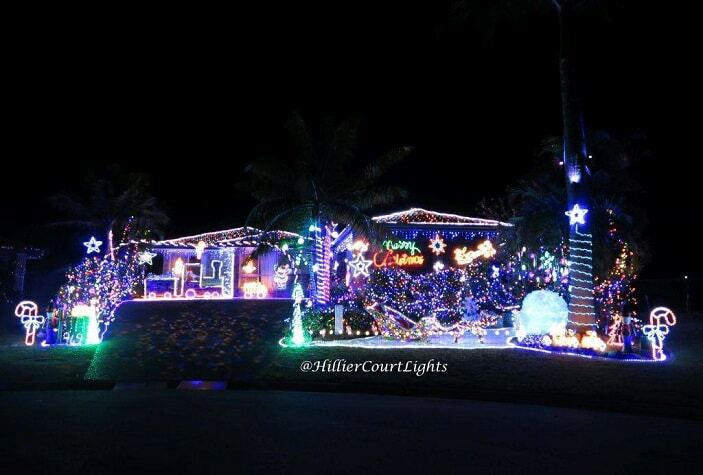 Please submit your Christmas Lights listing by emailing [email protected]. If you are wondering how people get on a Christmas light list, it is all in the preparation. Some spend many years gathering a collection of Christmas decorations, often purchasing after the Christmas rush and using websites like HOME, Temple and Webster, Mumgo and other discount sites to add to their collections. Gumtree is another place to check out discounted Christmas lights, but buying from here will not ensure that the lights are safe. If you are unsure about the safety of your Christmas light display, you should consider getting your local firies out to inspect and you may need to make sure you have proper equipment that separates the lights from your main power source. 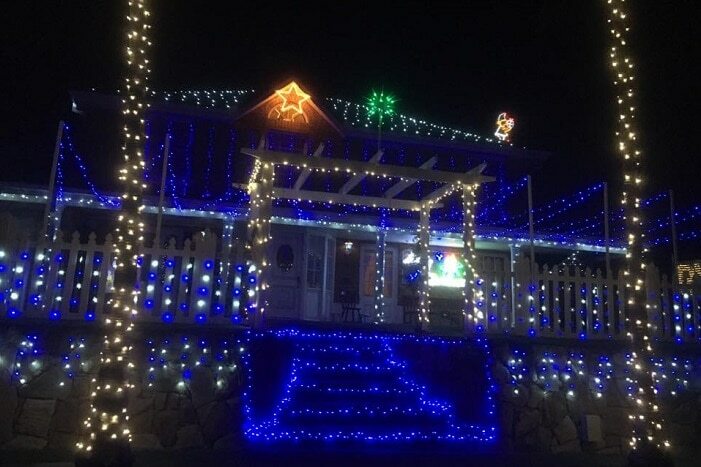 These are all questions for a professional and if you are looking to have an extreme Christmas lights display, then calling an electrician first for advice may be worthwhile. 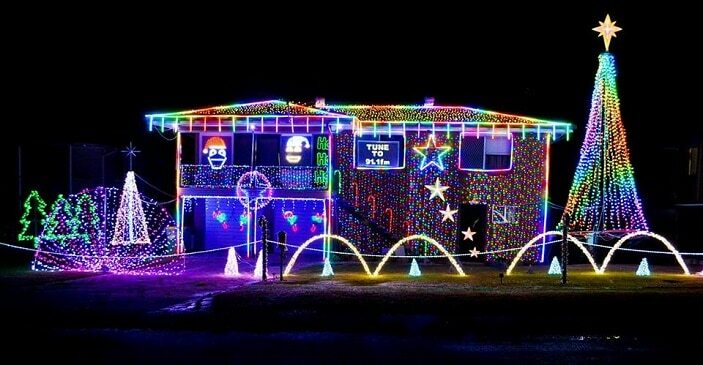 To anyone who takes the time to set up Christmas Lights: You should know that you are honouring the spirit of Christmas and keeping it alive for Brisbane Kids everywhere. Driving around and looking at the lights is a tradition for many families and, for us as a family, we really enjoy playing the spot the Christmas lights as we drive around on our way to the bigger displays like yours. 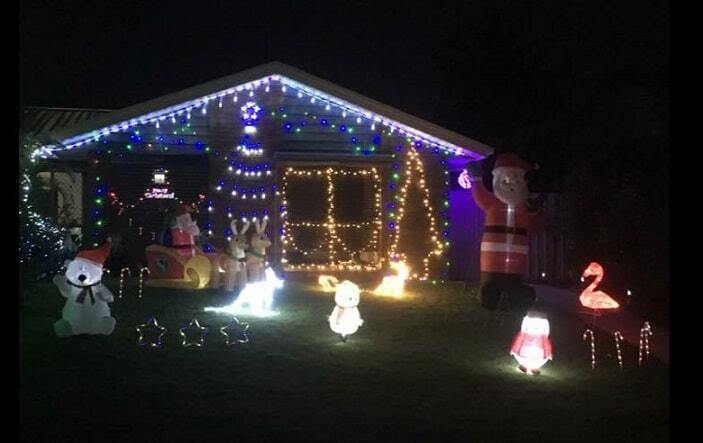 Thank you so much for both viewing this list and taking the time to submit your lights, we wish you all a very Merry Christmas in Brisbane with Kids. 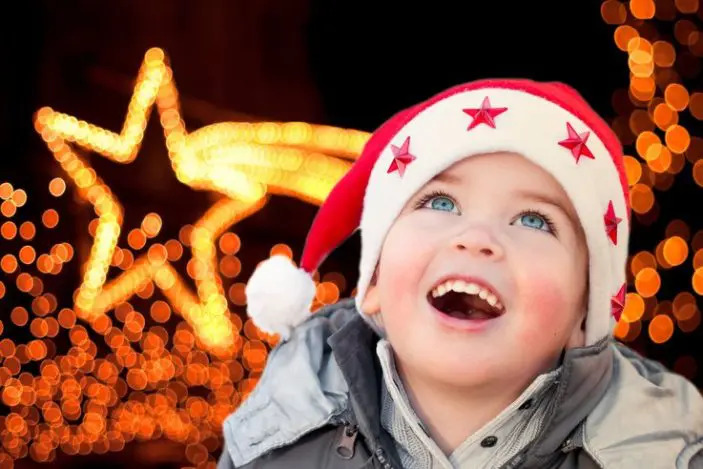 NOTE: These Brisbane Christmas light locations have been sourced from direct emails sent to Brisbane Kids, as well as 4KQ, river 949, The Times, Quest, Redland City Bulletin, and various individual Facebook pages belonging to locations with large light displays as well as Facebook groups. If for any reason the Christmas Lights have been entered incorrectly just let us know.